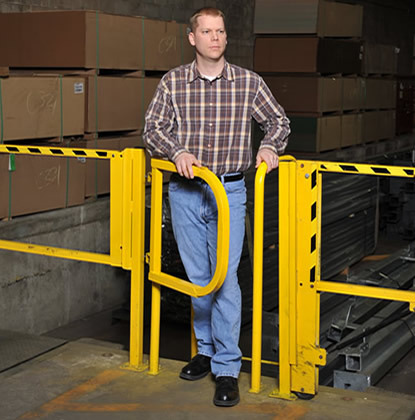 Installs in minutes with included mounting hardware on new or existing Wilgard® double- or triple-column guard rail. Replaces a 4' section of Wilgard® guard rail without modification to existing columns (34-5/8" clear opening). For new installations; dimensioned to fit within 4' section (center-to-center) of columns. Provides convenient access to protected equipment. Allows pedestrian cross traffic to be channeled to a specific location. 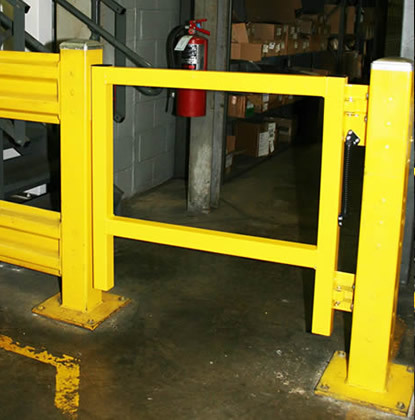 Heavy-duty self-closing swing gate reduces accident potential. High performance, long-life hinges tested to withstand over 100,000 cycles. All gate hardware is included.